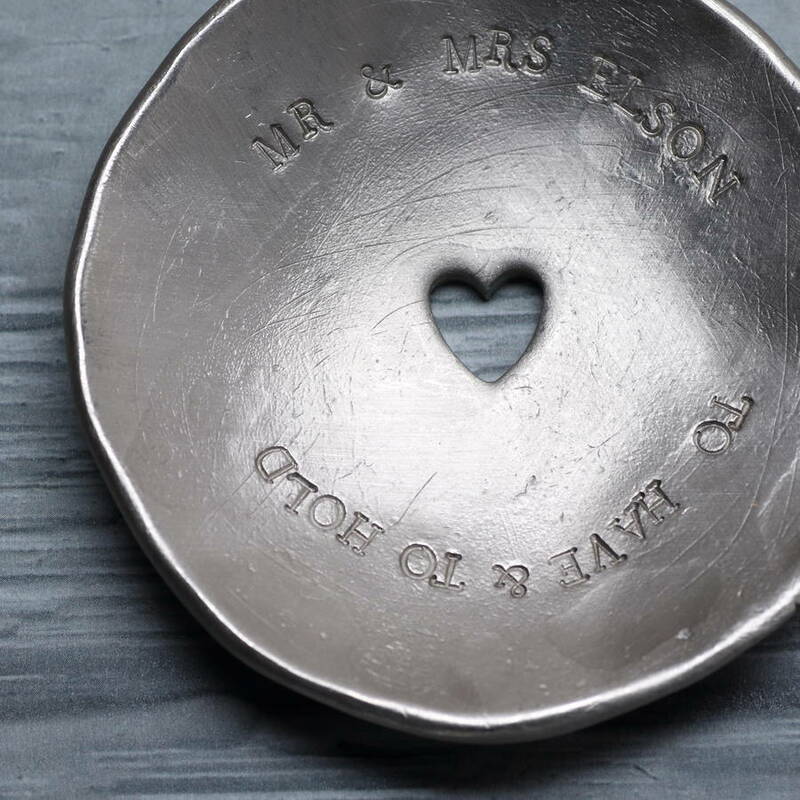 A gorgeous personalised pewter bowl. 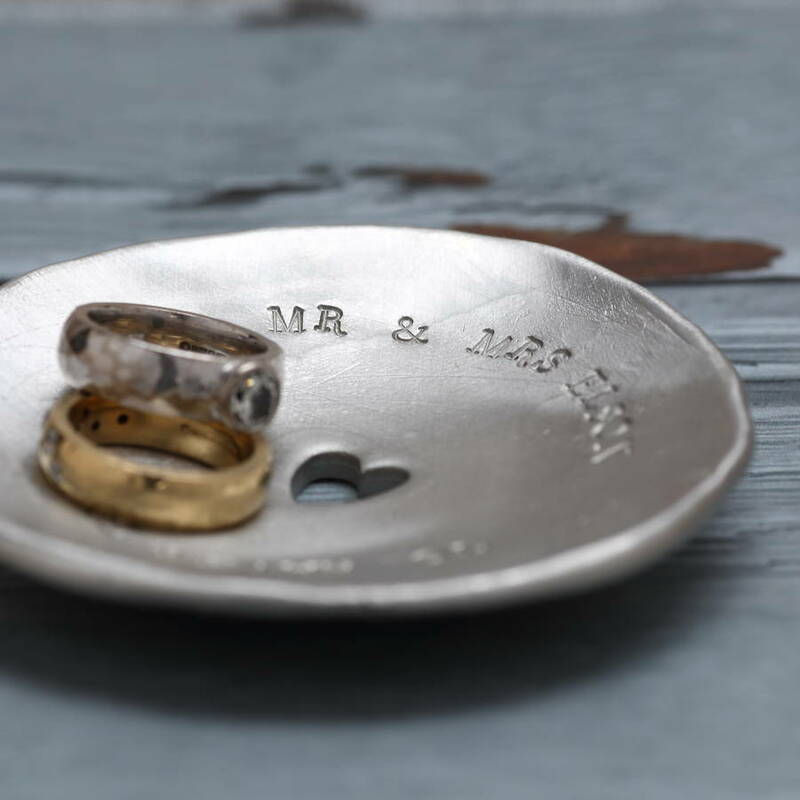 Perfect for use as a trinket dish or ringbearing wedding bowl. 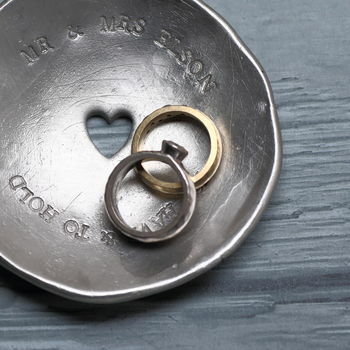 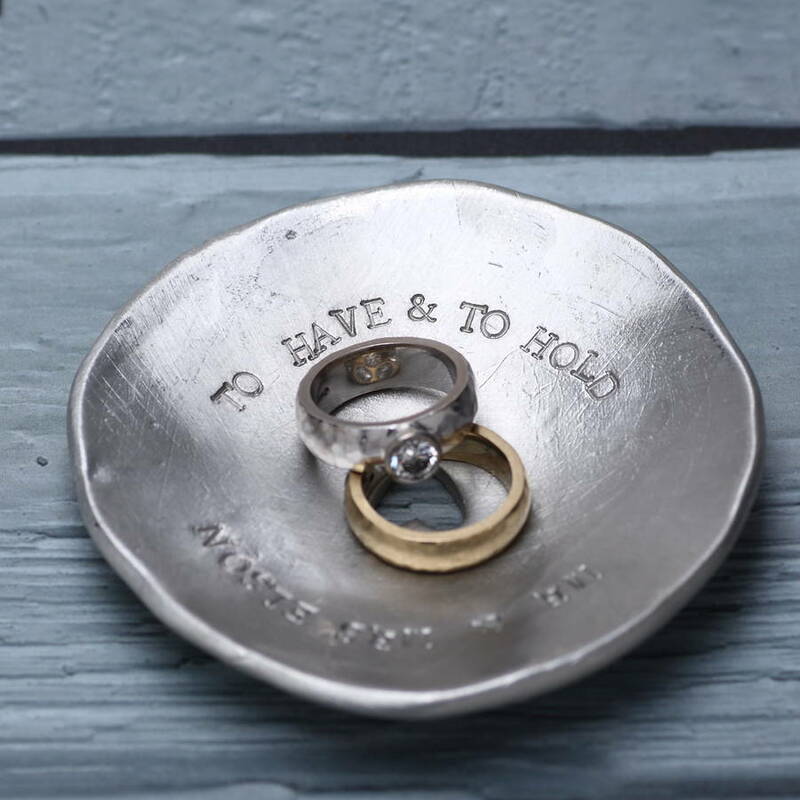 This super cute shallow bowl makes the perfectwedding gift. 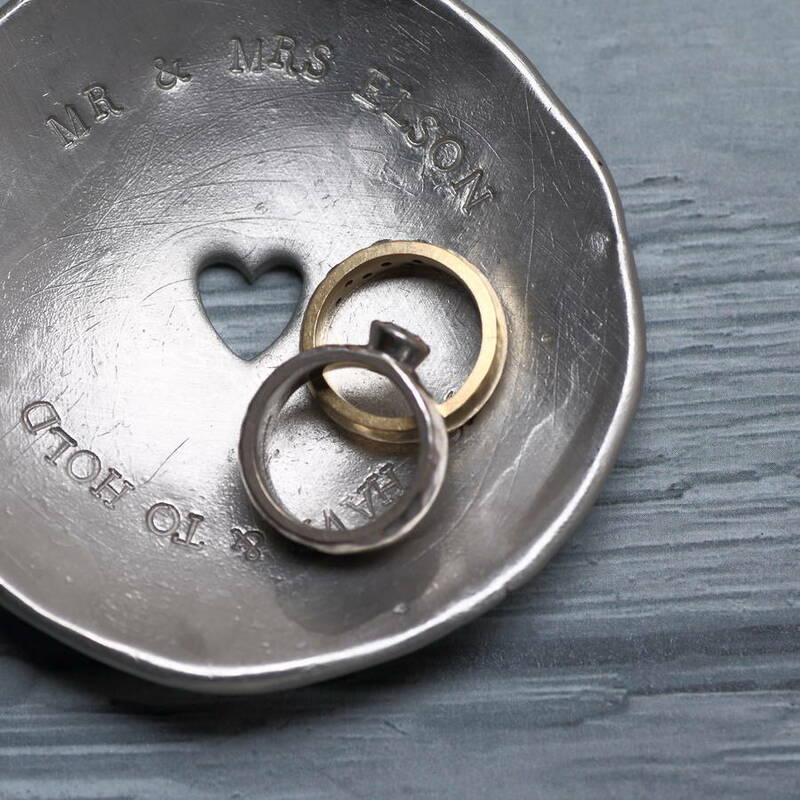 Made of pewter with a rough hewn, organic look and feel, this bowl has a matt satin/brushed finish and features a tiny little heart cut out in the middle. 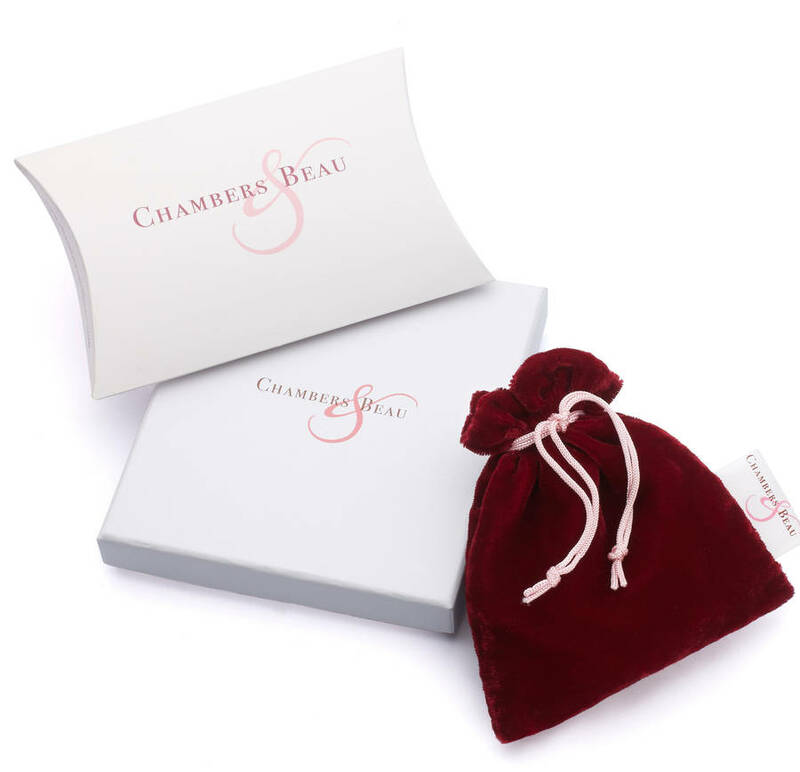 This item will be sent first class as standard.